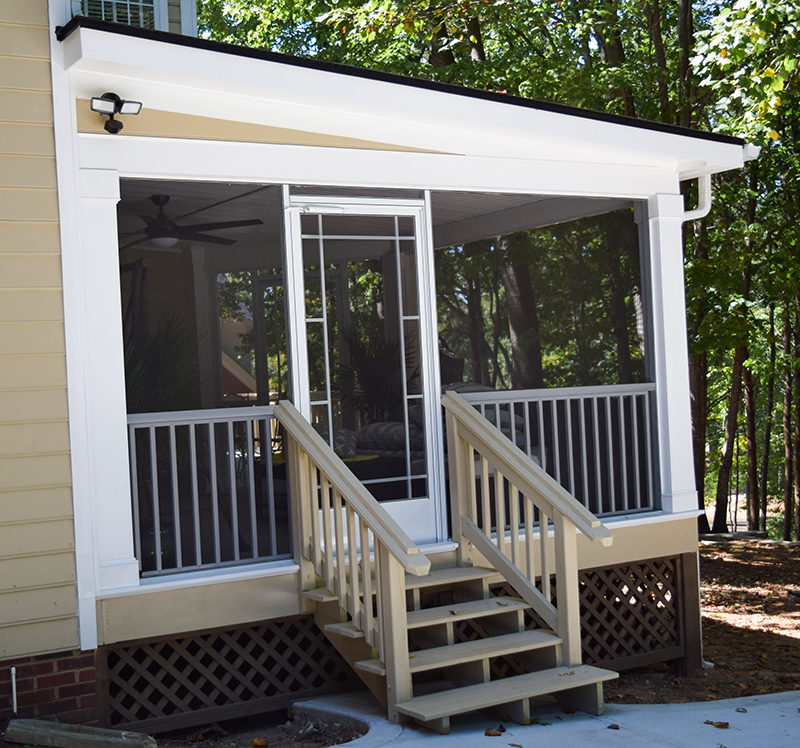 A couple on Lake Norman in Mooresville was looking for a screen porch overlooking their lake Norman back yard. 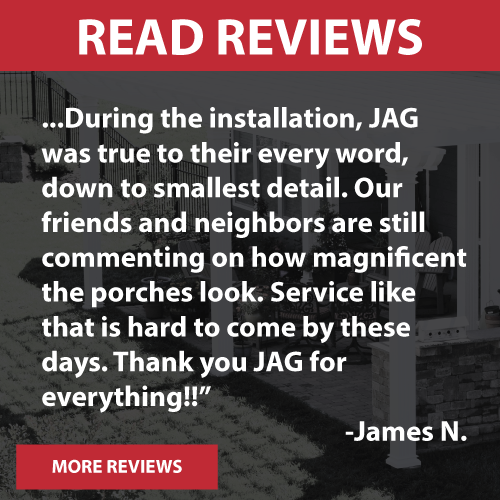 After the client called other contractors without response, they came to a home and garden show in Charlotte to visit JAG. As they say, the rest is history. 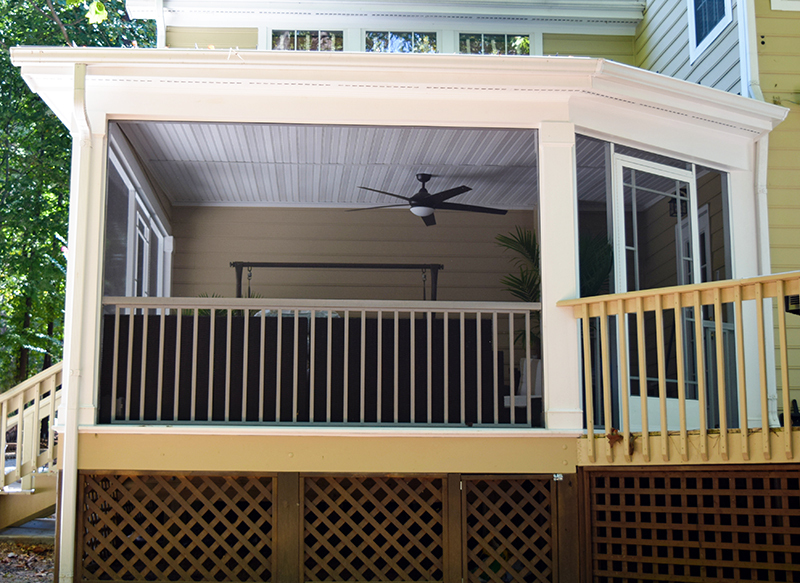 Included in this project was extending the original open deck to the corner of the home and building a screened in porch on the inside corner of the home overlooking Lake Norman. 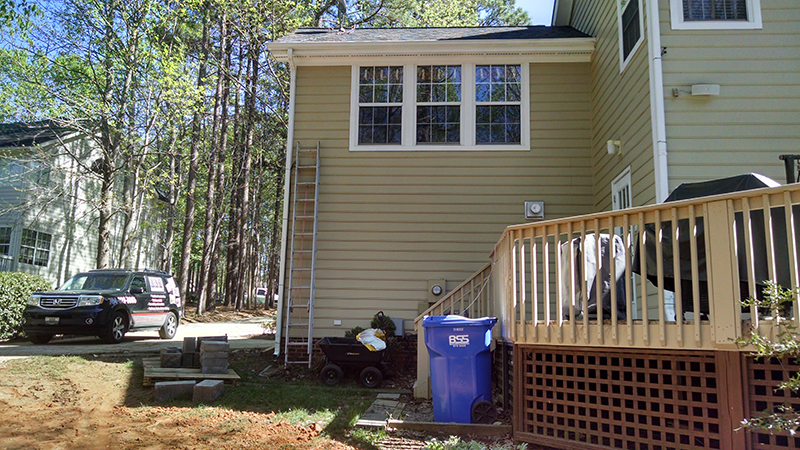 JAG was able to match the lattice skirting, added a door for storage under the porch. 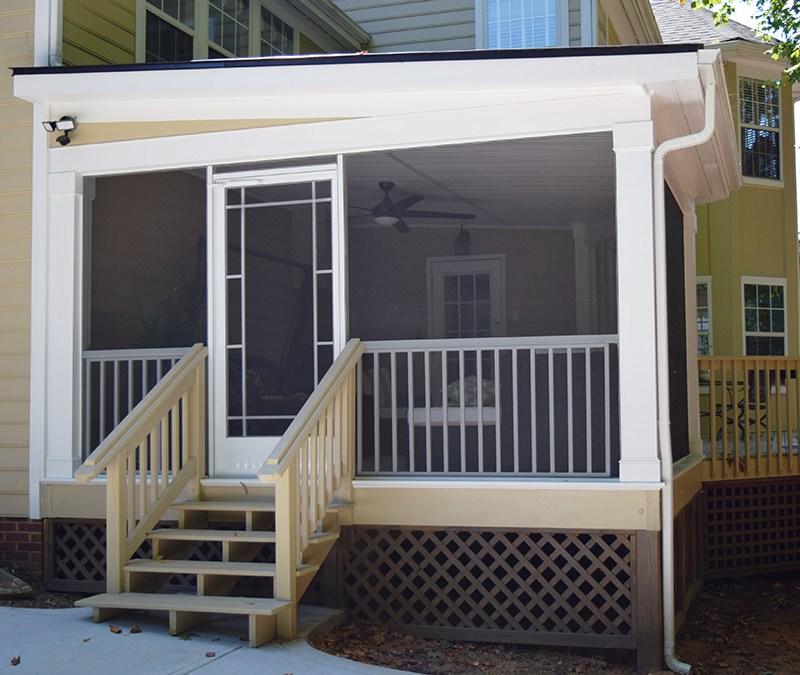 We framed a shed style roof to accommodate the low slop we had to work with because of the house door and 2nd floor windows and also the ceiling height requirement of the 6’ 5” client. While on site, the client asked if we could repair a driveway, extend the back of the driveway and add a stacked block retaining wall in the back yard that has built in steps to the lake and a semi circle curve around a big tree all backfilled to allow for a more flat and functional yard.